Limpopo hotels in South Africa range from lavish country inns to wildlife reserve resort hotels. Let our Destination Specialists help you find the perfect Limpopo accommodation for you holiday or business trip. Limpopo mirrors the quintessence of untamed Africa, ancient baobabs guarding vast expanses of mountains and bushveld, big game and culture. The Moholoholo Rehabilitation Centre is a refuge for injured and orphaned wildlife and you can see many different species of animals there. The Hoedspruit Endangered Species Centre focuses on the conservation of endangered animals. Limpopo Safari Lodges offer an amazing array of safari adventures in South Africa - many of which are near Kruger Park and offer spectacular game viewing activities including game drives and safari walks. Limpopo Province Attractions in South Africa, presents incomparable scenic landscapes, an enthralling cultural heritage, an abundance of wildlife species. It is a land of legends and myths and of ancient civilizations. Limpopo's 2nd greatest attraction is the Mapungubwe. This World Heritage Site is a very important Stone Age site that led to the discovery of an Iron Age metropolis. 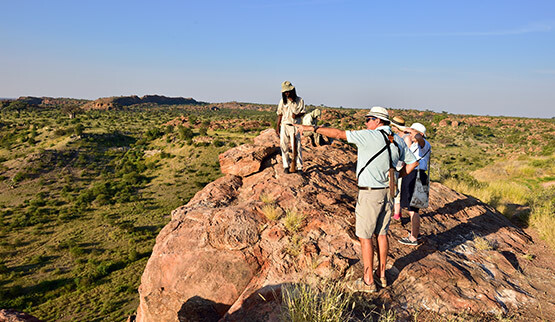 Go on tours of the sites in the Mapungubwe National Park. On Limpopo's eastern side is the Kruger National Park - Over one million hectares in size, and boasts the 'Big Five'. Limpopo Hotels offer you an opportunity to do safari game drives and bush walks.